One of the most interesting phenomena, which is entirely an outcome of the general theory of relativity, is that of the black hole. Although the mathematical existence of the black hole, as embodied in the exact solution of Schwarzschild, dates back almost to the advent of general relativity itself, most of the relevant aspects related to it were discovered essentially after the mid-sixties. 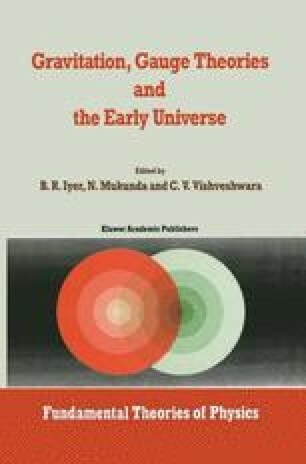 These include the geometric structure of the black hole, the physical phenomena associated with this structure, the differences between static and rotating black holes, perturbational effects, black hole thermodynamics, quantum field theory in the black hole gravitational fields and the uniqueness of the black hole solutions. These discoveries, incorporating several diverse areas of physics and mathematics, have revealed an extraordinarily rich variety of phenomena associated with black holes. In the following discussion, we shall consider the basic, elementary structural aspects of static and rotating black holes — pointing out the inherent differences between them — and the corresponding physical phenomena. At the end, we shall touch upon a few other features of black holes that would be of relevance to some of the subsequent articles.